Aphrodite Oysters Catering will bring the taste of the sea to any boat cruise party on Lake Austin. Our boat rental options can accommodate 8, 14, or 25 guests on a party barge. We will provide the boat, oysters, oyster shucker, and champagne; any additional fare requested is priced accordingly. 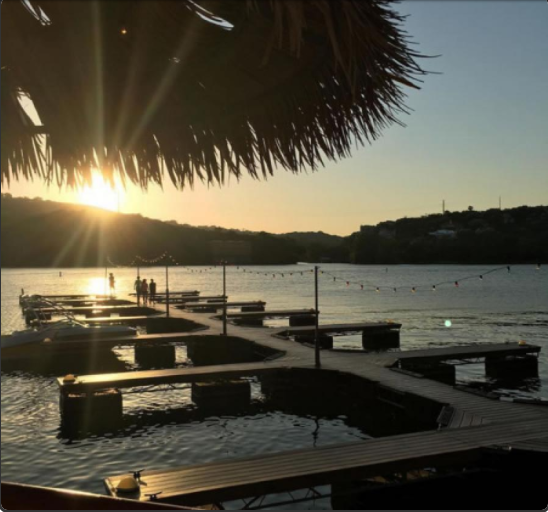 Experience the taste of the sea on Lake Austin with the beauty of a Texas sunset and a memory that will last a lifetime. Experience the best of Lake Austin with our Private Boat Captain & Oyster Shucker Tour providing the freshest East Coast Oysters and delightful bubbles. Boat comes equipped with 1 Paddle Board & Aqua Lily Pad, Ice Chest (no ice), and Ipod/Aux Cable for you own curated cruise soundtrack. Boat comes equipped with 2 Paddle Boards & Aqua Lily Pad, Ice Chest (no ice), and Ipod/Aux Cable for you own curated cruise soundtrack.